★★★ The Maze Runner by James Dashner (Dash is a good name for a book about running) is an infuriatingly good example of taking great liberal splashes of all the great stuff that went before (LOST, Truman Show, Hunger Games), and not learning the key lesson from any of them. It is fun, it is rollicking, but by the end (and after reading the synopses of its sequels on wikipedia) I just feel like it’s empty, like a jester’s sad bauble-bladder deflated of all air. But, if you’re not burned out still on the let-down cop-out ending of a show like LOST, or even the let-down cop-out ending of The Hunger Games series in the books, yeah, whatever. It’s awesome. The story is about an amnesiac mid-teen boy, Thomas, who gets plunged up in a lift-shaft much like Katniss’ lift shaft, into an, um, arena. But it’s called the Glade, and there’s not too much fighting here. In the Glade there’s a bunch of other amnesiac mid-teen boys who’ve been cooling their heels, chopping down trees, farming, and such-like, for years. They’re surrounded by a massive concrete wall which can’t be climbed (uh, ladders? earthworks? ), and “what would be the point of climbing it anyway?” as one character says. What would be the point of climbing it? Are you kidding me? OK get over this. Some of the boys run the maze and map it, looking for a way out. Sometimes they get killed by monsters called Grievers, which ‘sting’ people, and they go crazy. Thomas is going to have to figure out a way out of the maze, or something like that, perhaps by leveraging the weird flashback dreams he has about clinical labs and stuff. So these are all good things. It takes the first 40 minutes of the story to explain these, and how this Glade works, and I liked all that. Dystopias like this are fascinating for how they work. Look at Hugh Howey’s Wool. Massive amounts of that were a clue-hunt in a grand puzzle, with Howey doling out fascinating exposition of how people could live, and searching for the meaning/purpose behind it. – Climb over the wall! Why don’t the boys do this? Once you climb over the wall you can see the whole maze. You can see what’s outside, and how to get there. It would be the absolute focus of my day if I was there. The boys do build stuff out of wood, there are plenty of trees, so why not build a massive tower/ladder? Totally it is possible. Failing that, build a massive earthworks. Take all the earth in the Glade and pile it up against the wall, so the whole thing is a slope. If that’s not enough, add ladders on the top. Done. – Go out and hunt! They know there are monsters in the maze, but they never take it to the monsters. They send runners out in pairs, basically unarmed. Absolutely, a warrior class could develop in any group of boys, and you send them out to fight. Find out what you’re up against. – Build more defenses in the Glade. I can’t fathom why they rely upon the maze opening and closing nicely for their defense. Build up some ramparts around the entrances. Patrol them, leave guards on duty. Come on, guys. But OK, all that aside, it’s still great fun. The visuals of the maze and the glade are stunning and cool. We easily imagine ourselves there. The teen-angst and in-fighting is awesome, Lord of the Flies obviously, but still great. Acting is great too. I’m just disappointed by the resolution of the puzzle. If you can get over that though, it’s a cool, surprising, action-packed romp with lead actors that draw you in and make it more real. But it is pretty much empty, like eating only beautiful spun-sugar decorations without any vittles. So much is wrong with the ending. Basically, it’s a bluff to keep the kids running a maze of some kind, and keep them super-stressed. But, what? Are they immune to the disease or not? If they are immune, and this whole program is designed to somehow extract that immunity, how in hell does running a maze and being stressed by that help at all? The plague is called the Flare, in what sense are you testing/immunizing the Flare by running in a maze, and prior to that, living for three years in a glade? I just absolutely do not buy it. Are they trying to tap and bottle the human spirit? Is that what makes immunity to the Flare? So these kids are not actually immune, they’re potentially immune, and we think that immunity will come out if we run their bodies down and force them to be super-stressed? Wtf? Who thought that up, and pitched it to financial backers as the best idea? And after reading the synopses of the next two books, it seems this just remains the deal. The kids get stressed and put through the grinder, and somehow magically this makes their bodies produce the new penicillin, or something? What kind of mad theory is that? How is this massive maze, and exceedingly complex and long-lasting plot (3 years and running), involving memory-wiping (why?) in any way the most efficient way to isolate a gene for immunity? It makes no sense. I can’t roll with it. It will spoil my enjoyment of the next two movies, if I see them, because it makes no sense. It’s partly why LOST was a failure by the end. They got all the character stuff basically right, and I’m even willing to forgive them ruining John Locke’s redemption, but they never gave a reason for why the island was important, what it could do, why we were all fighting for it. Maybe there was none they could give that would satisfy? But they didn’t even try. Hugh Howey did it in Wool. There was a reason people got put into silo tubes for millennia, and it was a good one. It made everything else worth it. – Why have these kids has their memories wiped? – Why send up only one girl? – Why send up a boy who think she was somehow responsible for this? – Why was he their favorite? What does that even mean? – Are they immune? Are the adults immune? They seem to be alive also. If they’re all immune (because none of them are dead) what is any of this even for? – Why progress the maze the way they do? Why send up the blue antidotes, that restore memory? What was that for, at all? If they’re trying to encourage the kids to try and run through the maze, why didn’t they encourage them in this way earlier? Give them a bit better weapons? Why suddenly give them a push now? – Why send the girl? What is the point of her in the plot? She just exists? – Why pretend to all be dead at the end? What benefit is there in the boys thinking they’re ‘free’? Ah sigh. All of these questions may have answers. Perhaps we can even consider them hooks for the next movie/book. But like LOST, I get the unerring feeling the answers will be unsatisfactory. And that’s just not good enough. – If the boys think the helicopters were sent to rescue them, then won’t they question why the helicopters didn’t just descend into the glade to save them? Won’t they wonder, uh, guys, you shot up the control room, why didn’t you just turn off the monsters and open the doors? And if they wonder that, which I did immediately, won’t they realize at once that the whole ‘rescue’ is a ruse? And won’t that ruin all the effort WCKD (uh, alcopop) made to make them think it was real? So, yeah. Awesome visuals. Great fun movements of the story. But deeply unplanned dystopia that underlies it, rendering everything else fancy tissue paper over a turd. I found this article on Vulture that explains some of what is happening in the Maze Runner. The guy read the prequel book, and has some answers. So, essentially it seems to be there were solar flares, which destroyed cities, but then there were too many people for the resources (? doesn’t make sense. Destroy cities would kill the people and leave the Mid-West croplands alive, but whatever), so the new government decided to kill these extra people (? wtf? why not just let them die of starvation?) with a disease shot in high-tech darts from helicopter gunships (wtfffff? makes zero sense. Use bullets or bombs if you must). So they made the disease, and as total imbeciles, released it. As if it wasn’t bad enough dealing with the actual flares, they made up this new problem, also unimaginatively and confusingly called the Flare (why? ), which then went viral and spread. Duh. Now they spread their disease, everyone is going nuts, so they decide to cure it. Why they didn’t just use a disease we already have a cure for, but people with no resources wouldn’t have a cure for, I don’t know. Drop the black plague on them, if you absolutely can’t use bullets and bombs. If it comes back to us, we can cure it. Duh. 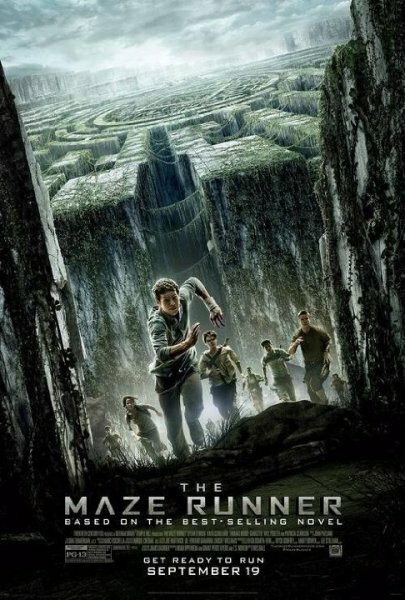 Then, next massive leap, Thomas in the Maze Runner is immune, so we get him to run around in a maze, because cure. WHAT? There is no connection between these two states. If you want his immunity, you had better run tests on him or something. How does risking his life in a maze help anyone? At all? What is that kind of ‘test’ going to do to help make a cure? I’m done with Maze Runner. Can’t think about its nonsense any more. 1. Who wasn’t immune but still put in the maze and why? 2. How and when did Newt get the Flare? 3. How did Gally survive?